Robert W. Hillman is a leading authority on partnership law and the legal and ethics issues arising from lawyer mobility and law firm breakups. He teaches at the University of California, Davis, where he holds an endowed chair. His treatise, Hillman on Lawyer Mobility (Wolters Kluwer Publishing),co-authored with Allison Martin Rhodes, is the definitive work on mobility issues and is cited frequently by state and federal courts. He also is the co-author (with Donald Weidner and Allan Vestal) of The Revised Uniform Partnership Act (West/Thompson Publishing), the leading treatise on modern partnership law, and the co-author (with Jim Cox and Don Langevoort) of Securities Regulation: Cases and Materials (Aspen), now in its eighth edition and widely used as a text in American and foreign law schools.. 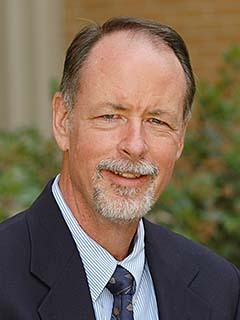 He has been an Official Advisor to the ALI’s Restatement of Agency (Third) project, and was as adviser to the National Conference of Commissioners on Uniform State Law’s Professor Hillman is a graduate of Duke Law School, where he was editor-in-chief of the law journal. Hillman on Lawyer Mobility: The Law and Ethics of Partner Withdrawals and Law Firm Breakups, Third Edition is your definitive guide to this fast developing area of law.